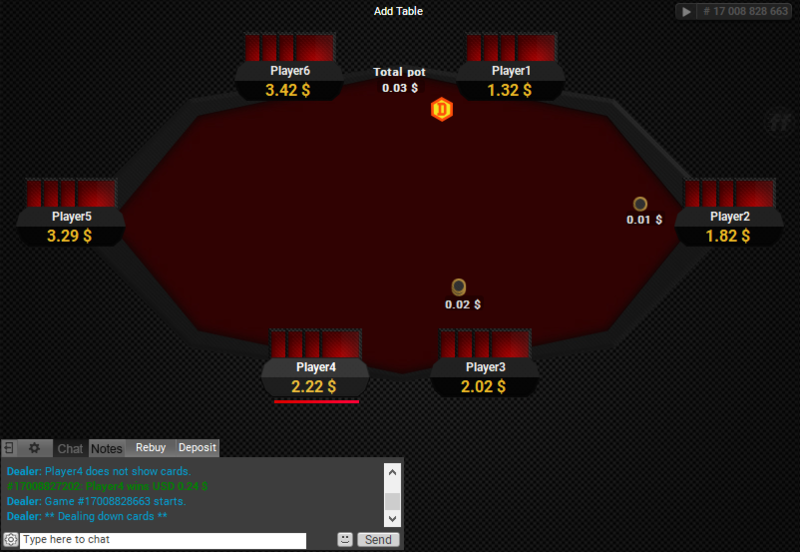 If you like to play in the evening or in the night, then this theme is perfect, because it uses rather dark colour scheme. 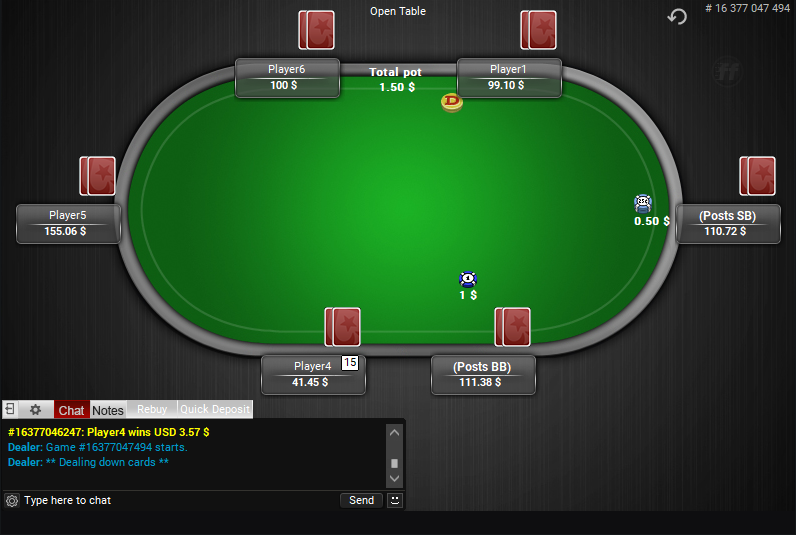 Even if you play in a well lit room, it’s still better for your eyes to look at a darker themed table. 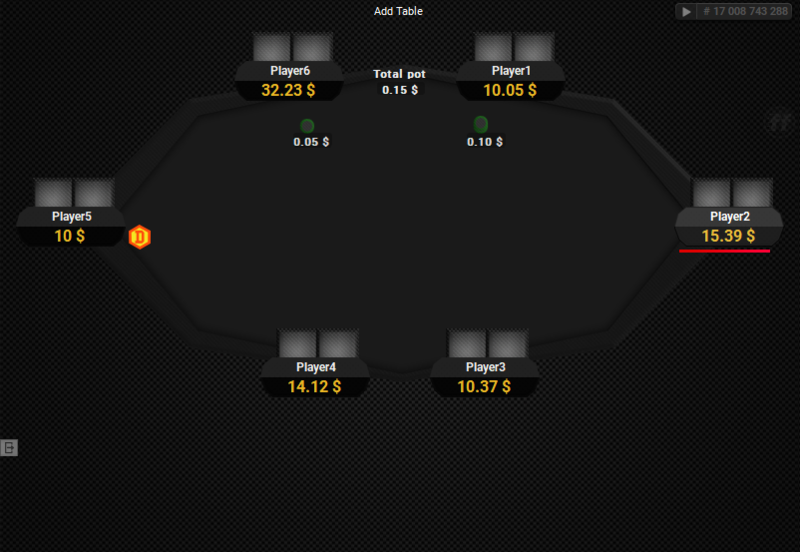 The theme includes 4 table colours you can choose from under Settings -> Theme, they are all nice and dark. 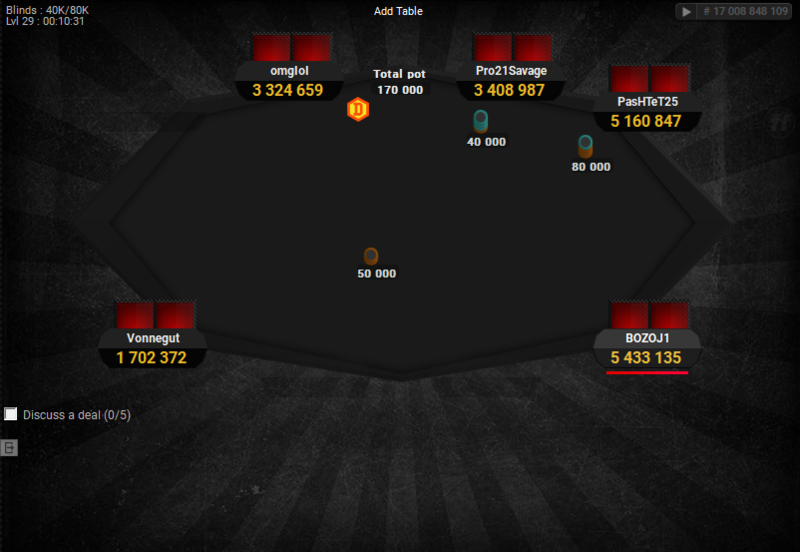 In settings you can also choose between 4 different cardback colours: yellow, red, blue grey, and also 2 different decks of cards. 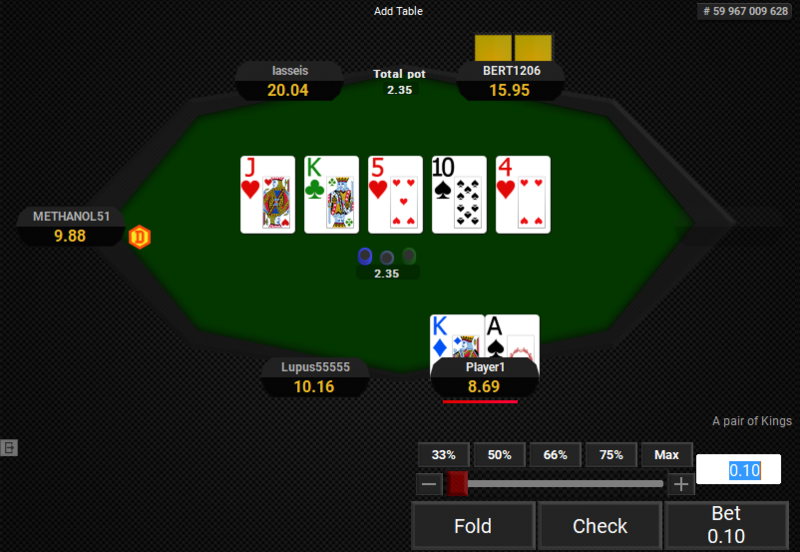 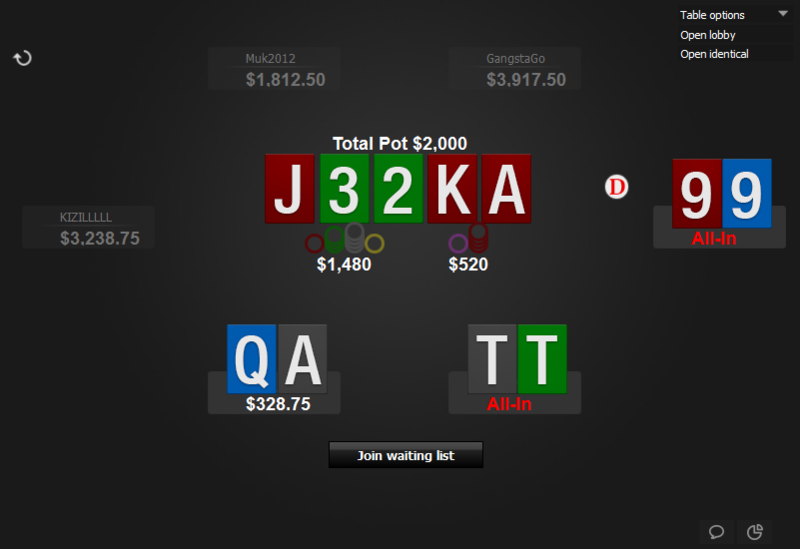 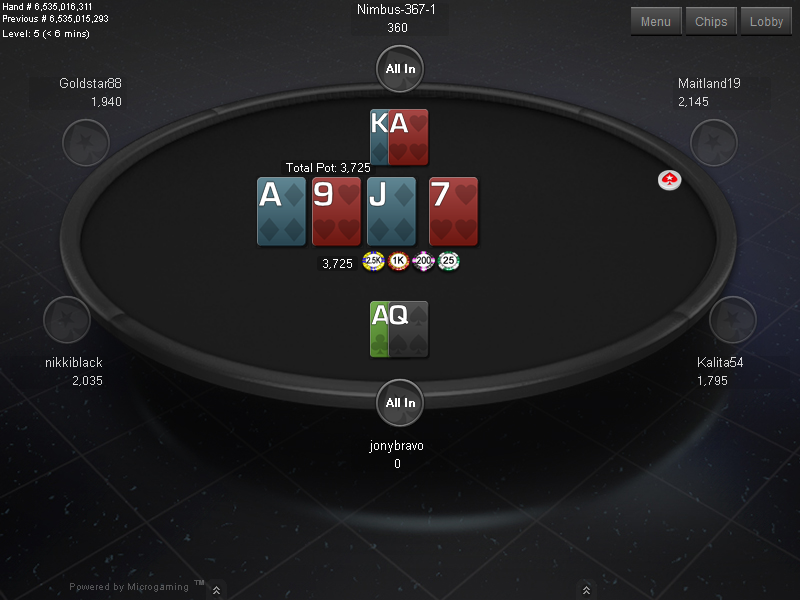 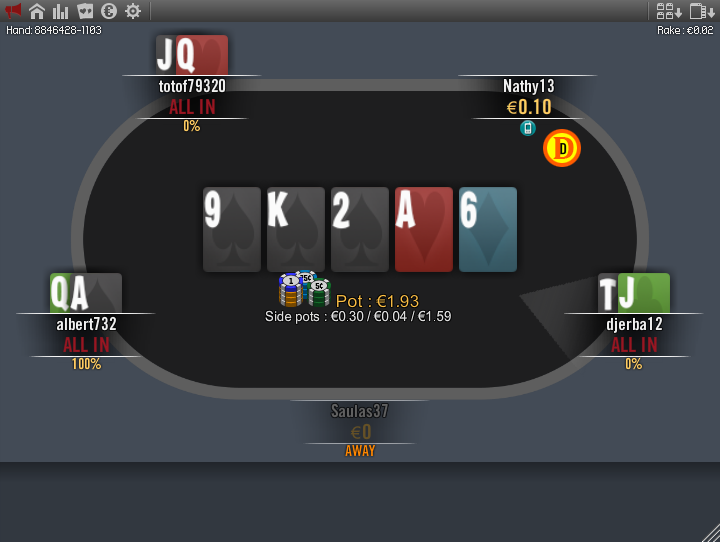 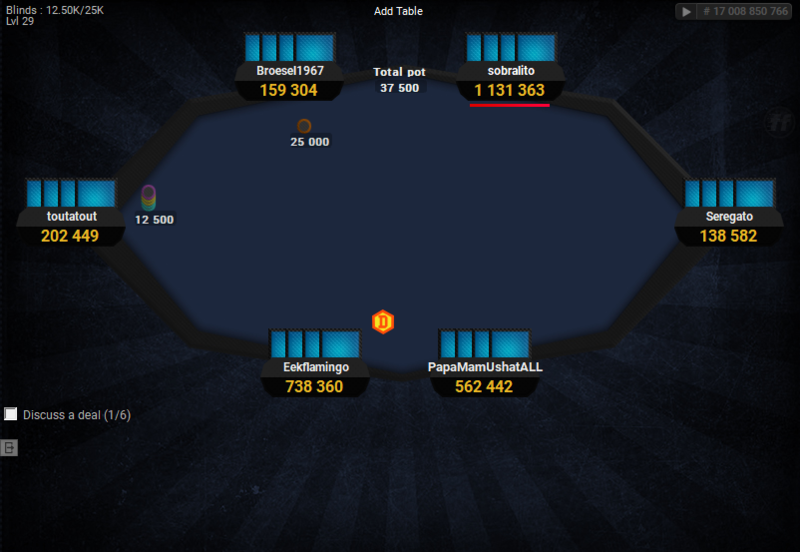 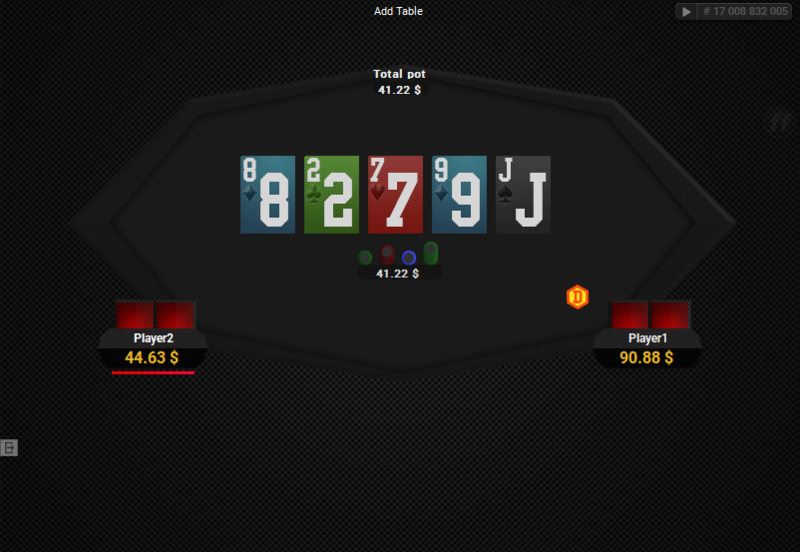 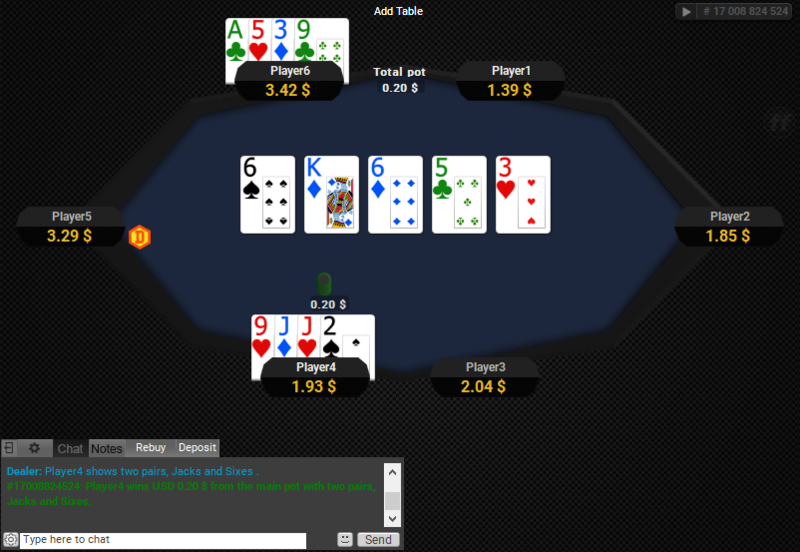 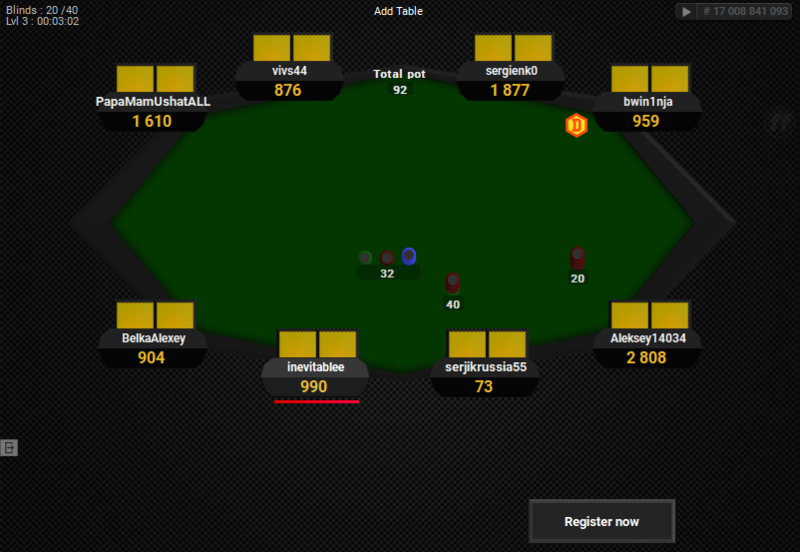 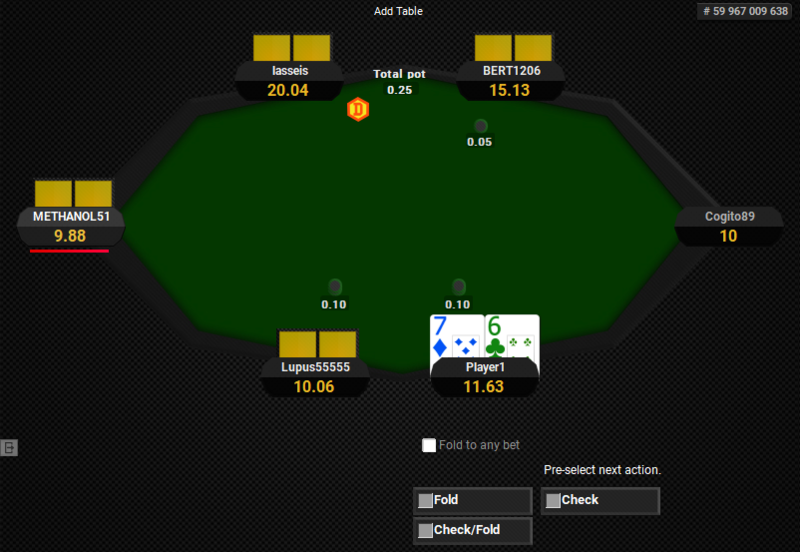 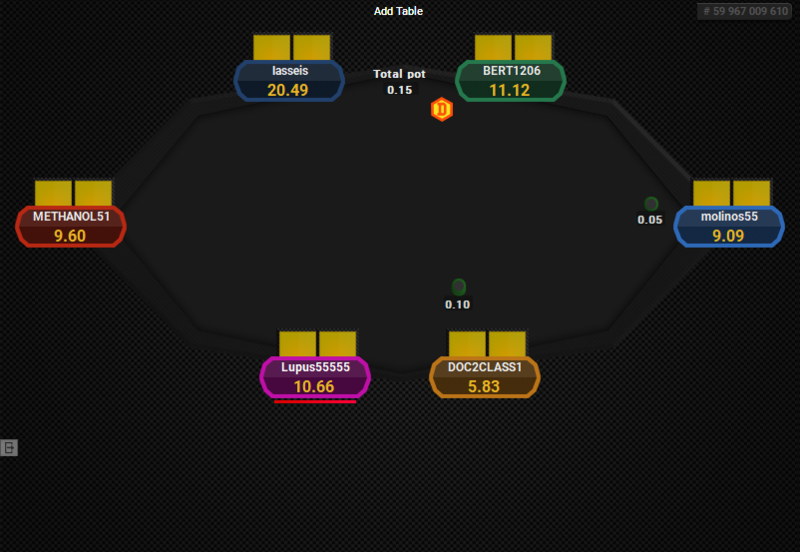 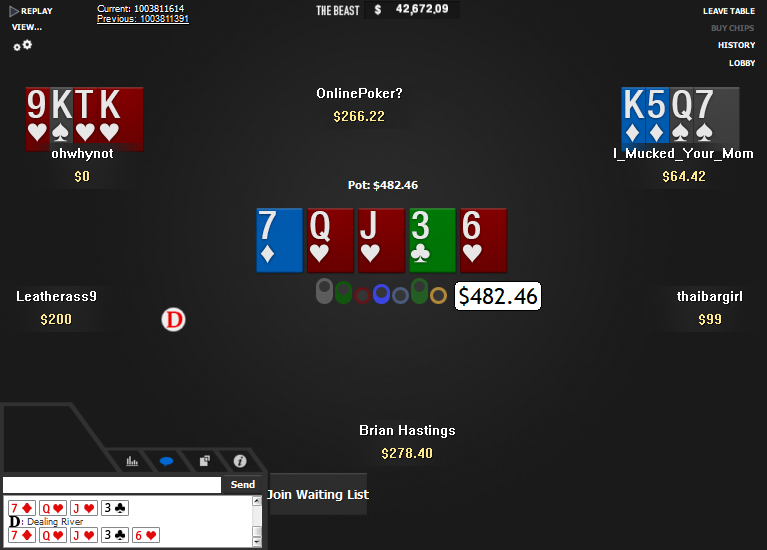 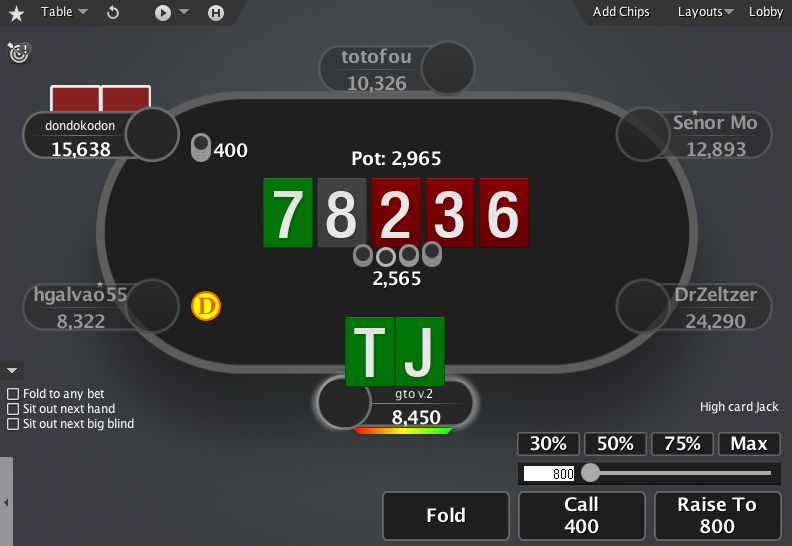 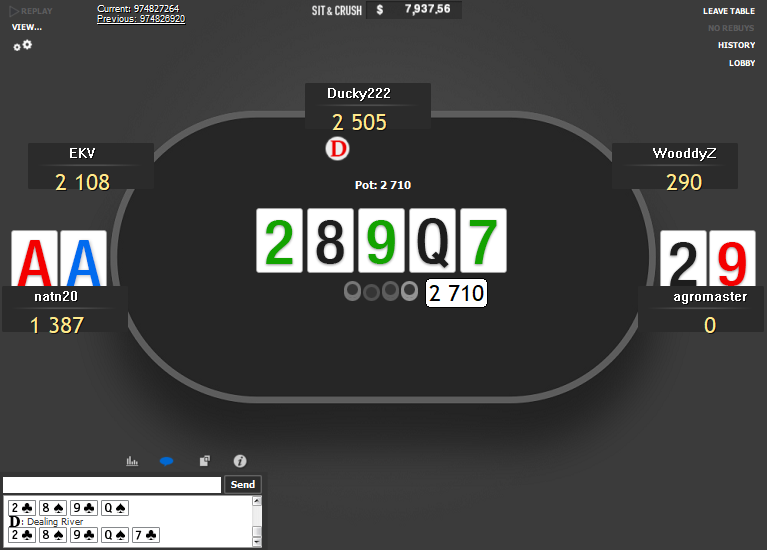 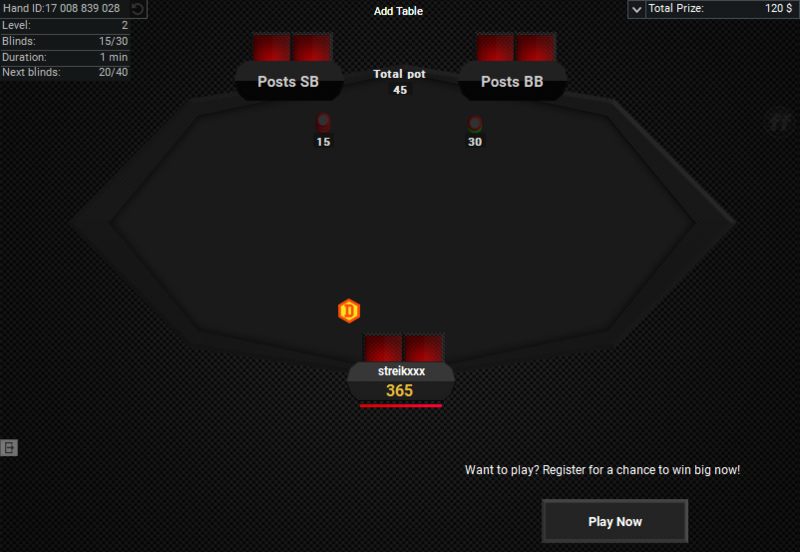 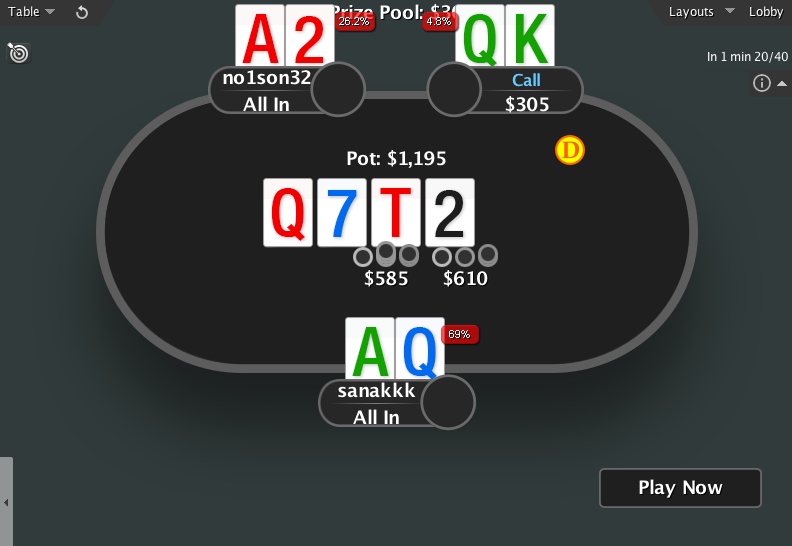 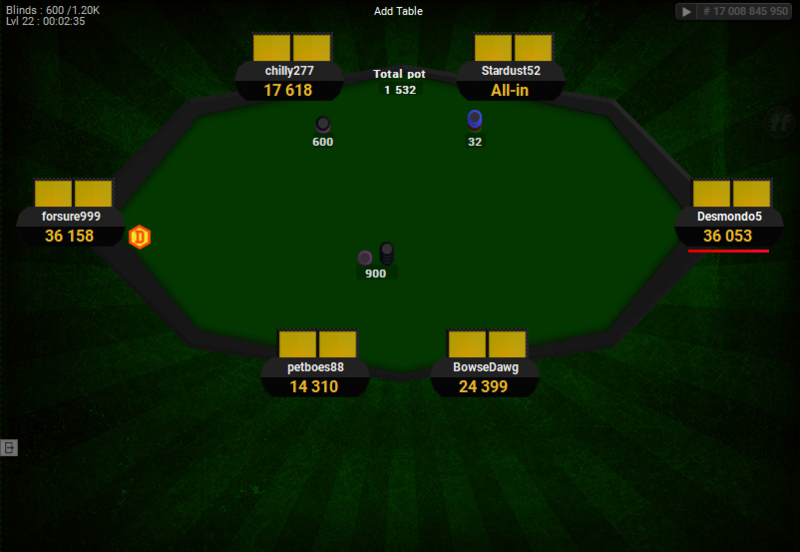 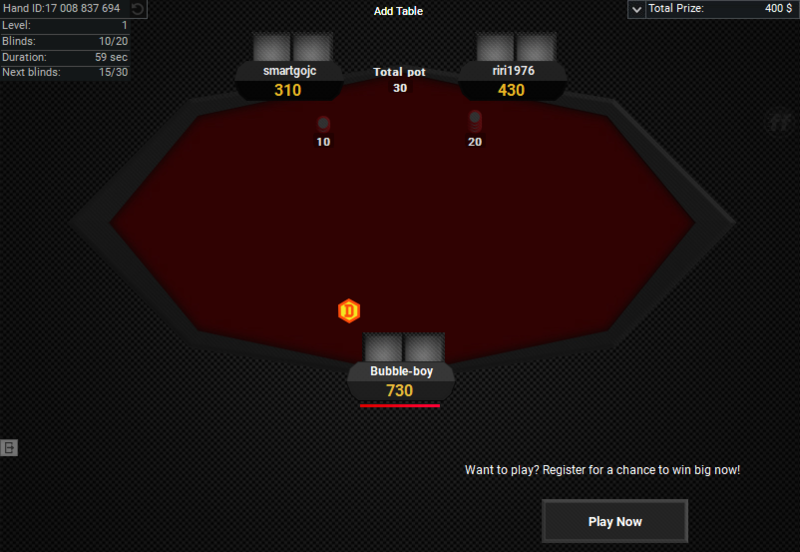 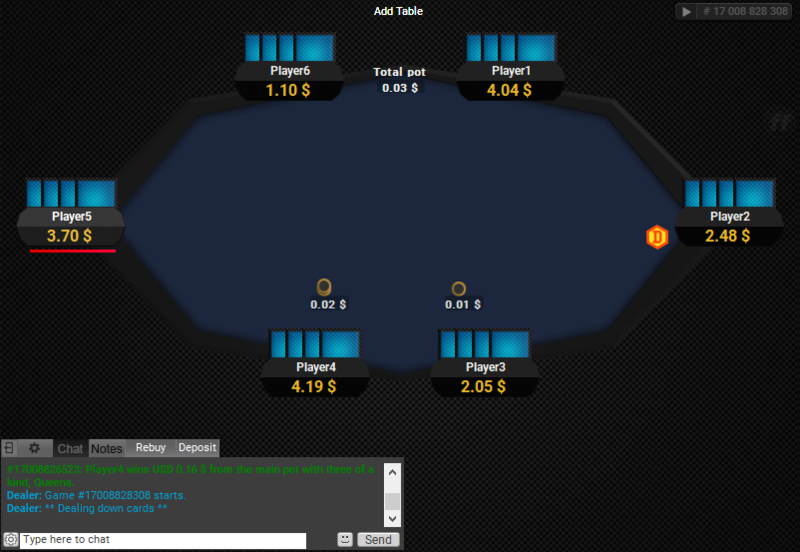 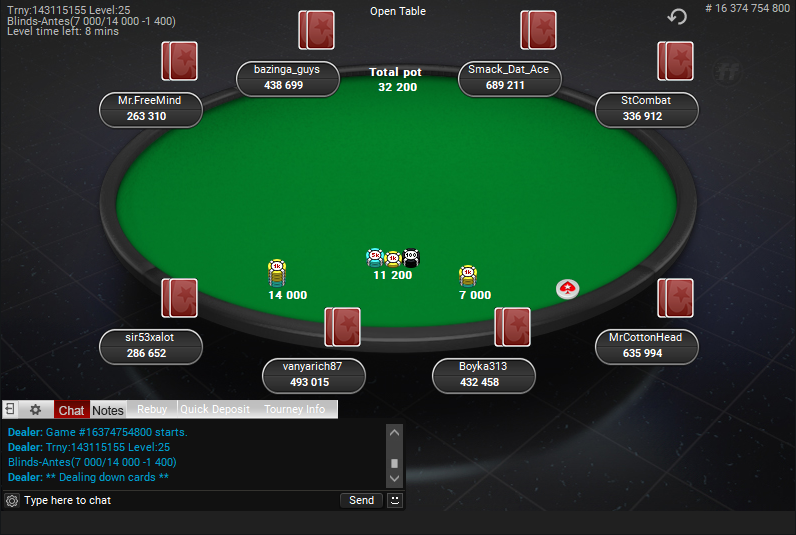 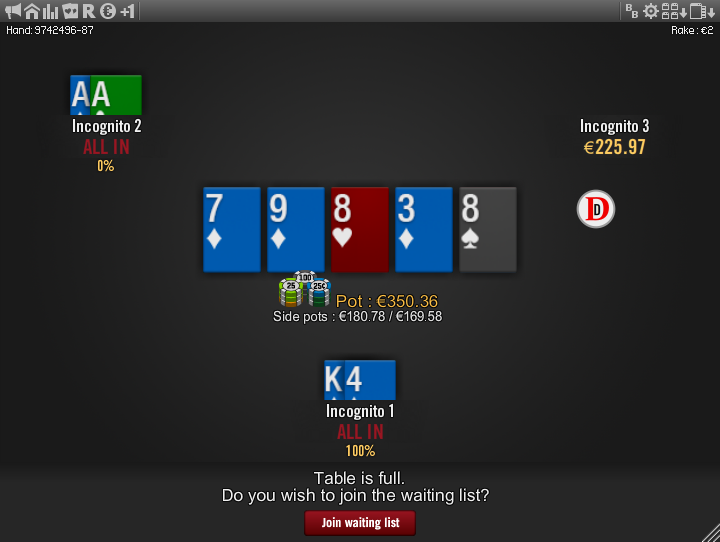 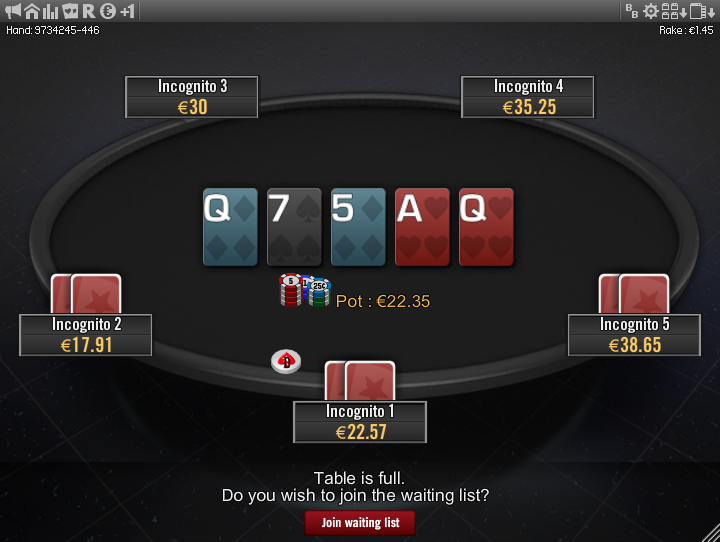 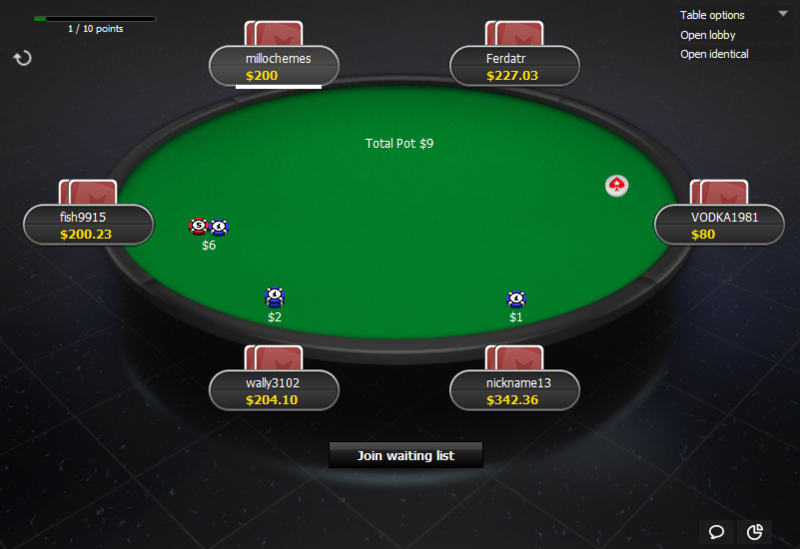 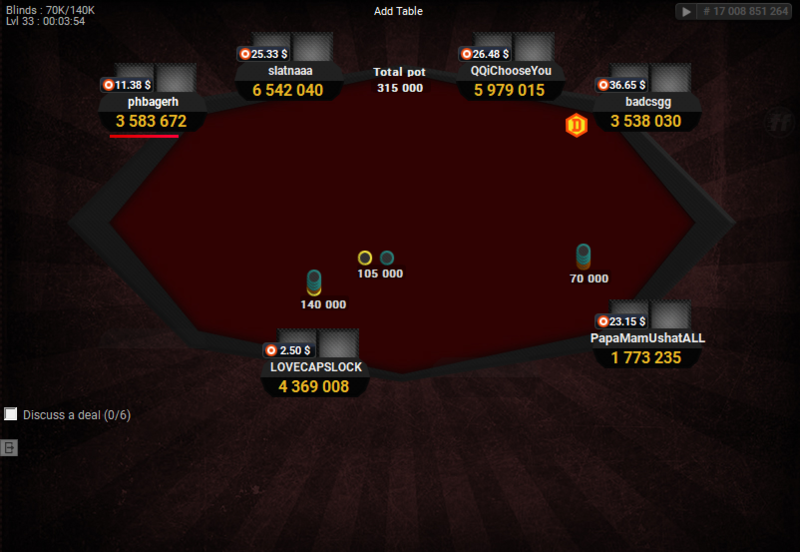 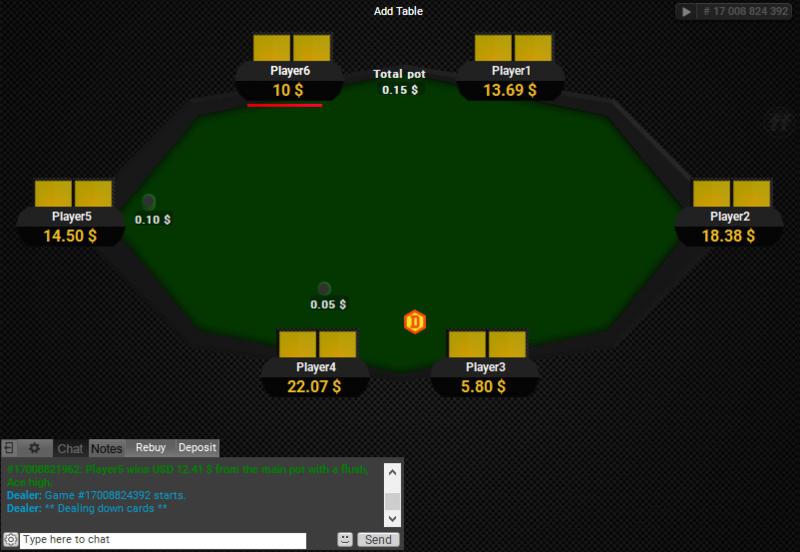 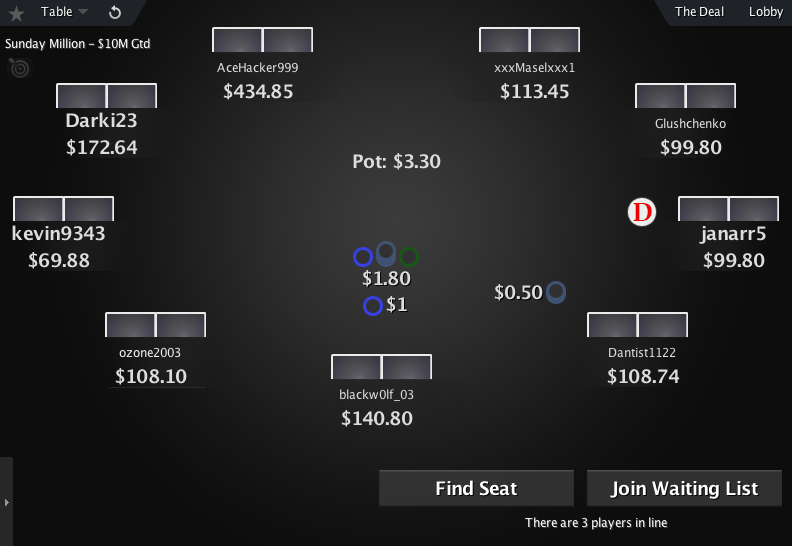 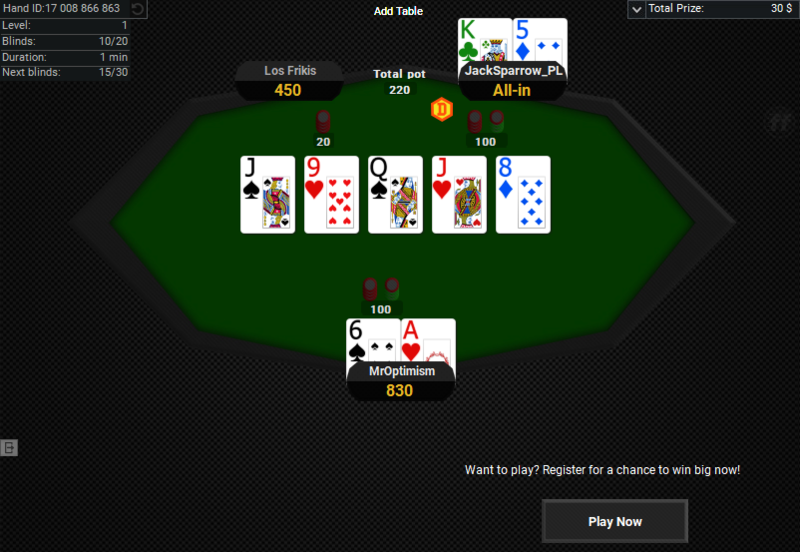 Coloured notes contrast very well with the dark theme and this makes it very easy to know the types of players you are facing on any table at a glance. 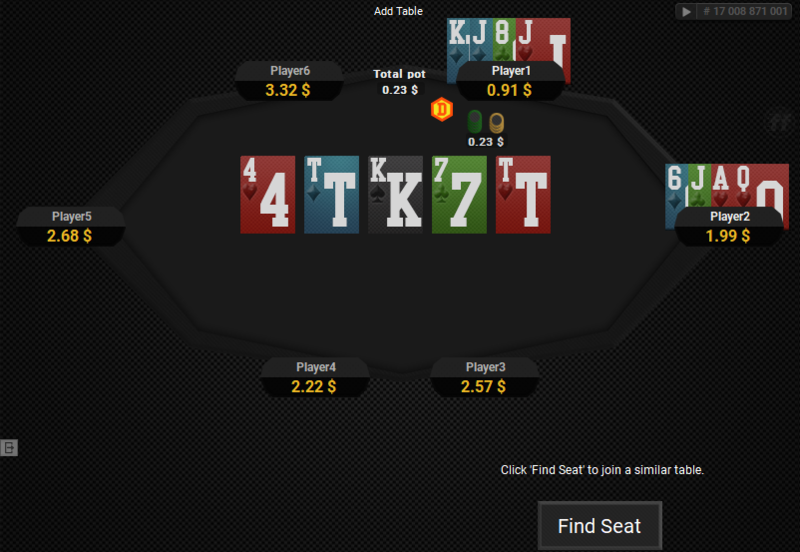 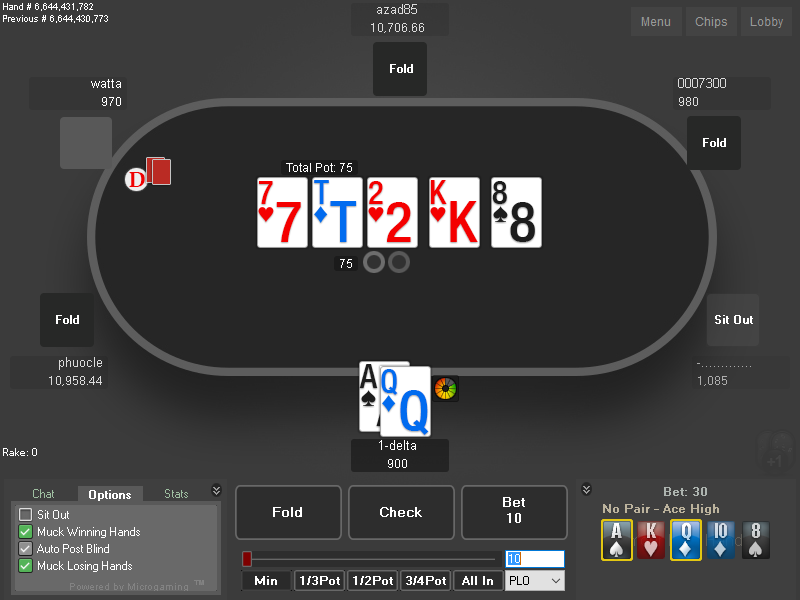 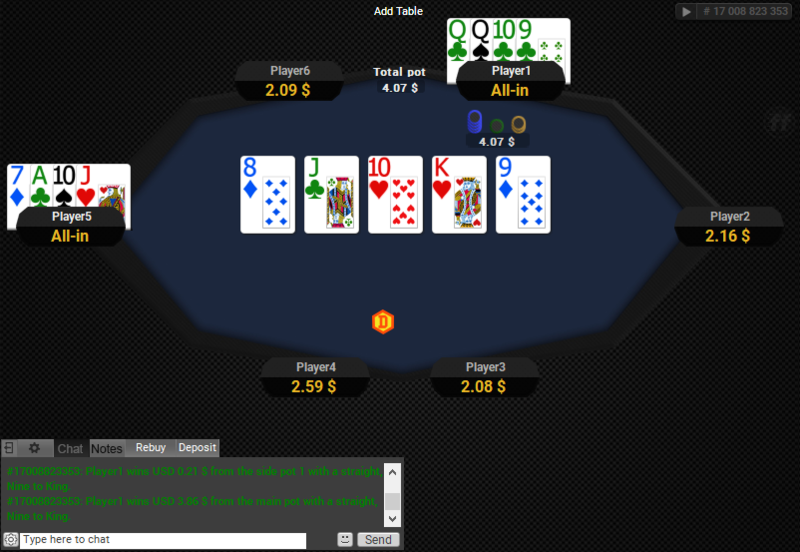 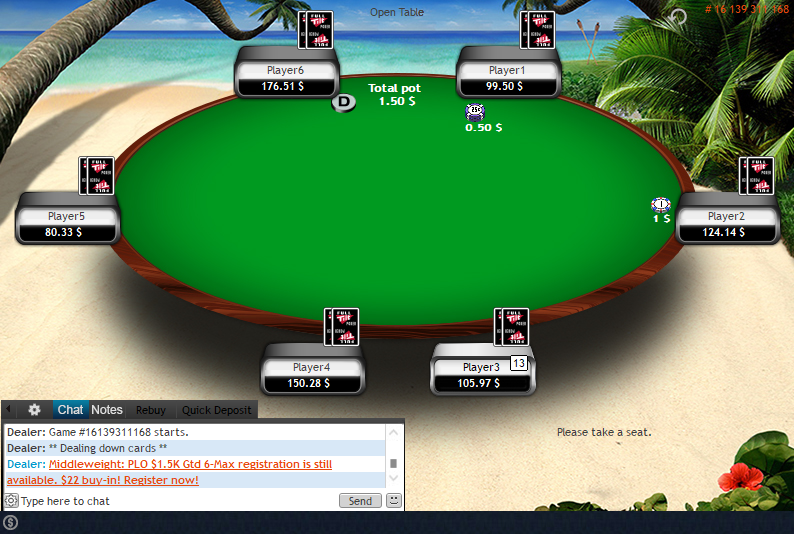 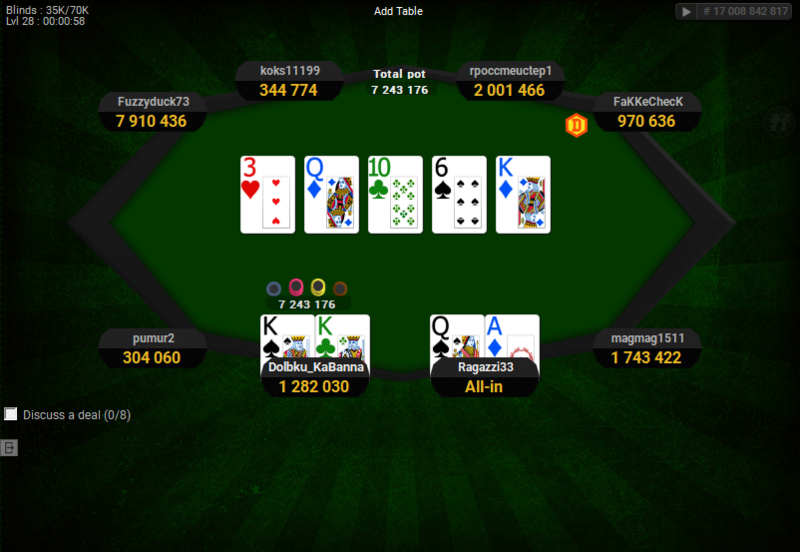 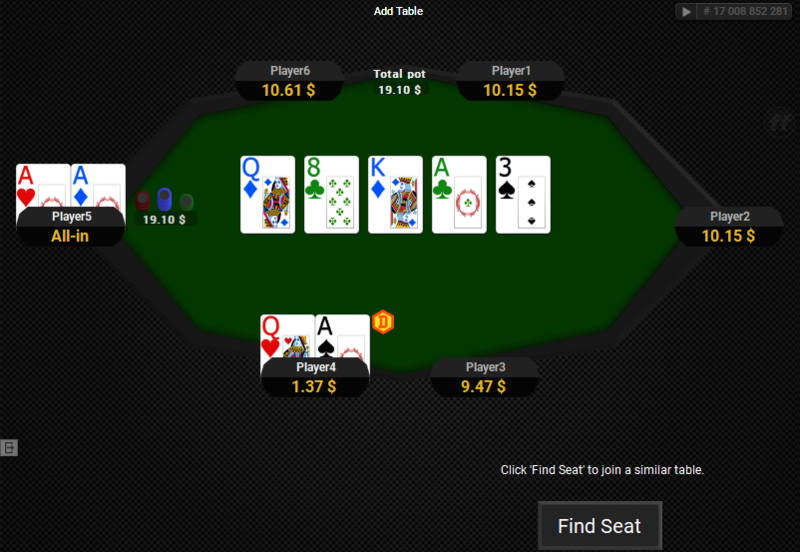 The table and dealer button shapes are a bit unconventional, which gives it a more exclusive look compared to normal table themes. 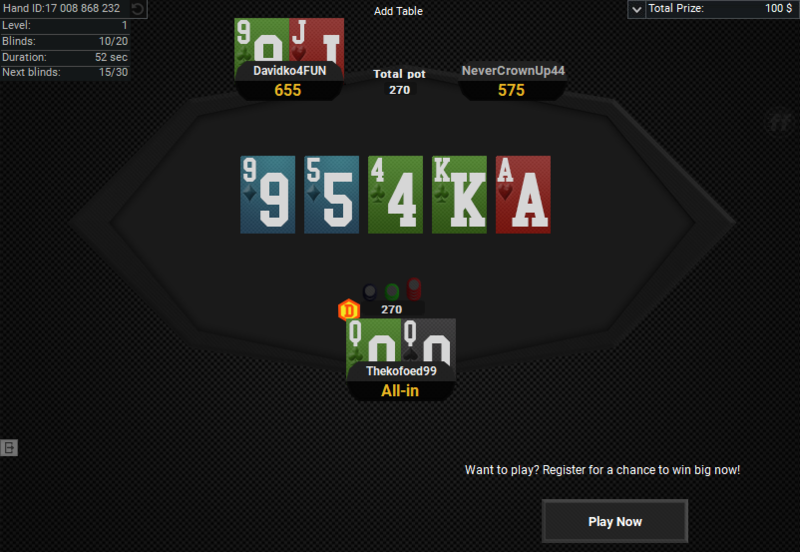 Theme updated on 11 May 2018.